If work/life balance is important to you, a practice opportunity in beautiful northern Michigan may provide the perfect blend of a recreation-based lifestyle with a challenging and rewarding career. Munson Healthcare physician recruiters work hard to match the best medical professionals – physicians and advanced practice providers – with exciting, fulfilling practice opportunities in northern Michigan. 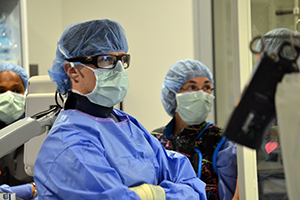 Working at Munson Healthcare requires a commitment to excellence. Excellence happens when the right people are in the right place using the right technology doing the right thing. Munson Healthcare is northern Michigan’s largest and leading health care system. The system consists of nine award-winning community hospitals, including a regional referral center, four Critical Access hospitals, a surgery center, a cancer center, a heart center, extensive outpatient treatment and rehabilitation facilities, and ancillary emergency, transportation, and home-based medical services covering 24 counties in Michigan’s northern Lower Peninsula and eastern portion of the Upper Peninsula. You will find excellence at every level of the Munson Healthcare organization. Our knowledgeable and skilled medical staff represents 76 specialties working in a collaborative, quality, patient-centered environment, supported by advanced technology. Our integrated system is staffed with talented people at all levels who put patients at the center of everything we do. Believing that health care is best delivered close to home, Munson Healthcare partners with more than 1,500 providers throughout the region to provide quality health services to more than a half-million people spread over 11,000 square miles. Munson Medical Center, our 442-bed regional referral center, is a teaching hospital with a family practice residency program and third and fourth year medical students from Michigan State University College of Human Medicine and College of Osteopathic Medicine. 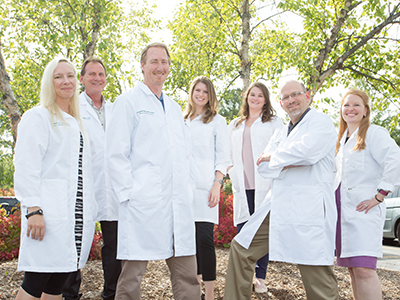 Working together in northern Michigan, we provide coordinated, quality, compassionate care to every patient. Close alignment between hospitals allows us to learn from each other, standardize care, and do what’s right for patients in northern Michigan. Patients - We keep the patient at the center of all we do. Quality - We deliver the right care at the right time in the right place. Health Care Team - We make this a great place to practice medicine and a great place to work. Safety - We ensure a safe team and safe care with a focus on zero harm. Operational Performance - We ensure a strong future by meeting our operating margin targets. C.S. Mott Children’s Hospital, Ann Arbor, Mich.
Helen DeVos Children’s Hospital, Grand Rapids, Mich.
Mary Free Bed Rehabilitation Center, Grand Rapids, Mich.
Michigan Medicine, Ann Arbor, Mich. Spectrum Health, Grand Rapids, Mich.
Munson Medical Center has been designated a Magnet Hospital for Nursing Excellence since 2006. Our patient-nurse ratios throughout the Munson Healthcare system are among the best in the nation. Munson Healthcare and its partners will work together to provide superior quality care and promote community health. Working together, we will be the first choice for care within the communities we serve. We are accountable to our patients and each other for our decisions. We respect everyone, everywhere, every day. We carefully use resources entrusted to us. We show compassion and understanding in all of our encounters with others. We approach all of our work with a spirit of collaboration. We make safe work practices a top priority every day.